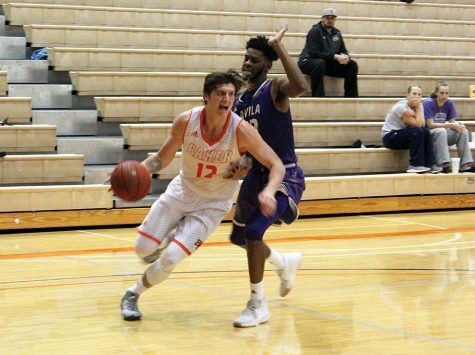 The Baker University men’s basketball team dropped the 12th game out of its last 13 with a 100-62 road loss to Evangel University on Saturday in Springfield, Mo. The 38-point loss was the largest of the season for the Wildcats, who are now 9-18. 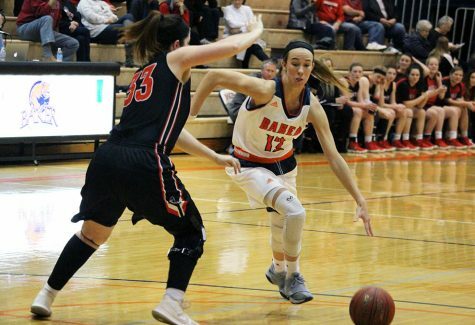 The Baker defense simply could not hold the Evangel offense, which shot a season-high 67 percent from the field. 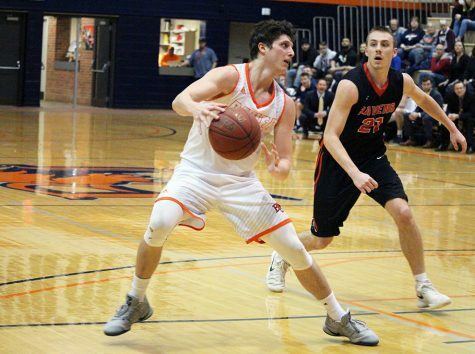 The Crusaders shot an even higher percentage from deep, nailing 14-20 3-pointers and shooting 20-24 from the line. The Wildcats took an early lead, scoring the first five points of the game, and took a 7-2 lead after the first two minutes. 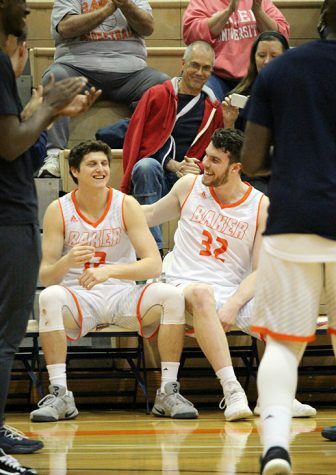 Baker was able to hang with the Crusaders for the first nine minutes, tied at 15 with 11:43 to go in the first half. From there, Evangel went on a 12-0 run and led by as many as 22 in the first half. Baker was able to score seven in the last 1:27 of the half to cut the deficit to 14. Freshman Javieon Gray scored 11 points in the first half and led the team in scoring with 18 on the game. He also led the Wildcats in assists with three. Fellow freshman Tyrome Parker was the only other scorer in double figures with 13. The second half started with an and-one by Parker that tightened the gap to 50-39. In the next five minutes, the Crusaders came storming back, going on a 19-7 run to take their largest lead of the game up to that point. The Wildcats struggled offensively in the second half, scoring just 26 points while giving up 50. The Wildcats’ percentages on offense were not indicative of a 38-point loss. While shooting a below-average 40 percent from the floor, the Wildcats did hit half of their 3-pointers. On the other hand, Baker was only able to grab 18 rebounds, half of them offensive, and turned the ball over 16 times. 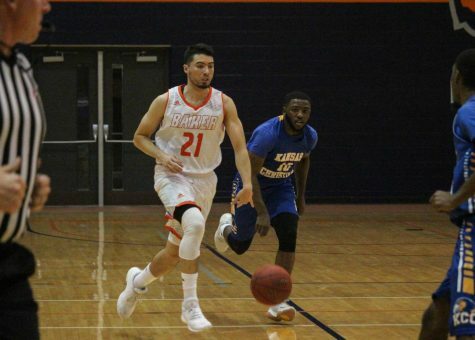 The loss to Evangel came just two days after the Wildcats fell to Avila 76-71 in Collins Center. The Eagles took control from the start, scoring the game’s first eight points. Avila guard Sedrick Johnson began the game on fire, scoring three of the Eagles’ first four baskets and going for 10 points in the first eight minutes. 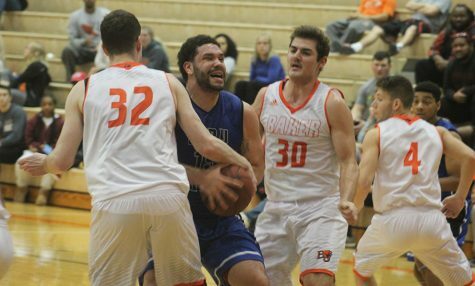 As a team, Baker didn’t get to 10 points until more than nine minutes passed. The Wildcats finished the first half with as many turnovers (11) as field goals. Avila led by as many as 21, and went into halftime up 42-26. The Wildcats started the second half on a 15-5 run, bringing the Avila lead to within six after just five minutes of play. 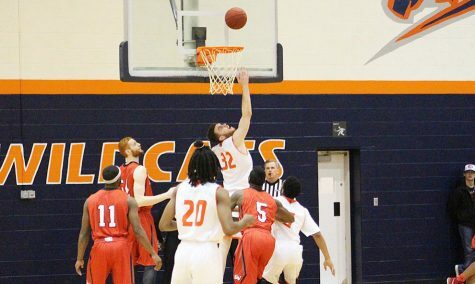 The Wildcats used no single go-to player in their comeback attempt, with no player eclipsing 22 minutes of playing time. Leading scorers Parker and junior EJ Cater tallied 11 points each. The Eagles, however, were able to charge right back, stretching the lead back to 14 after a Deron Tolliver free throw made the score 63-49. The Wildcats remained resilient, going on another big run, this one 20-9, to bring the game to within one possession. The Baker defense held Avila without a field goal for the last 5:26 of the game. The Eagles scored all of their last 10 points off free throws. The Eagles’ Johnson finished the game with 29 points, six rebounds and two steals. Justin Reed added 19 for Avila, making 7-8 from the free-throw line. At 3-13, the Wildcats are in last place in the Heart of America Athletic Conference standings. 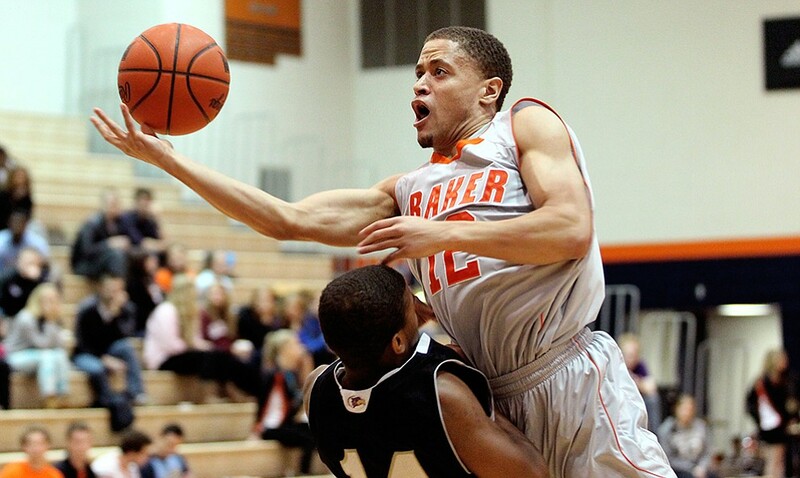 Baker will look to improve when it takes on the 9-16 (4-11 HAAC) Peru State College Bobcats. The game will be at 7:30 p.m. on Thursday in Collins Center for senior night.